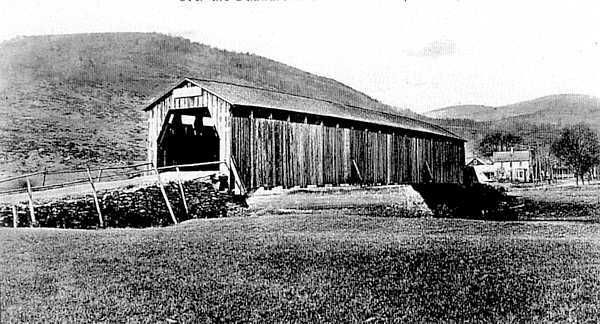 queen post built by Robert Murray in 1854 for $1,700 and is still in use today. 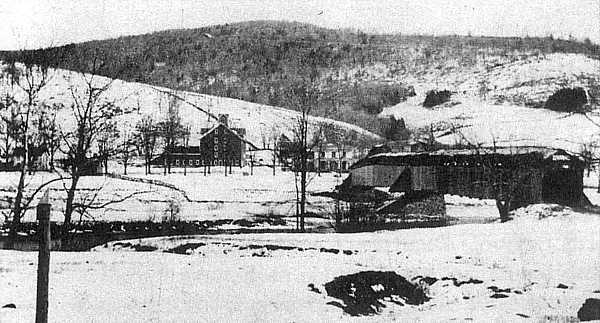 Another postcard view looking up toward the Main Street of Downsville. 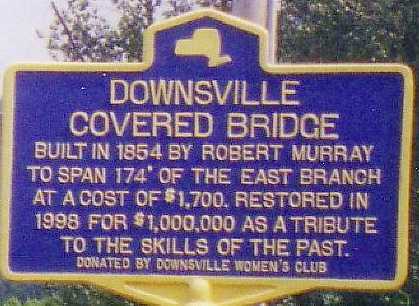 After the 1998 restoration of the Downsville Bridge. 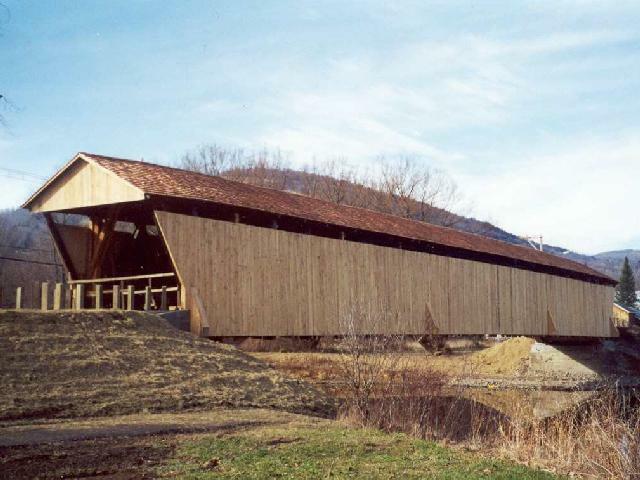 View of the Downsville Bridge today. 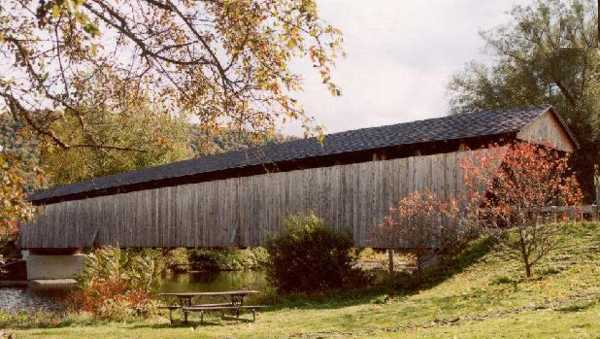 located in the Beaverkill State Park. 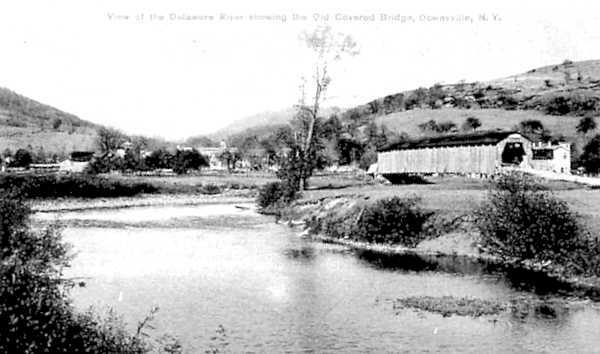 towards the Cloverleaf and Barney Hollow. 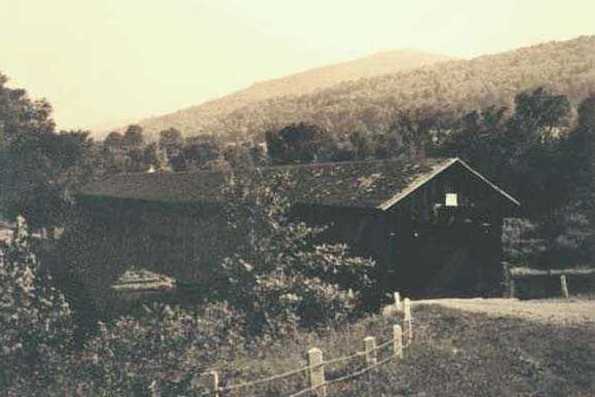 Robert Murray in 1834 and used until July 1947. 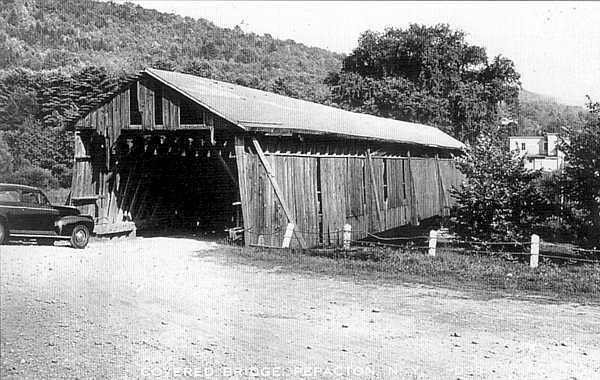 Originally built with two piers a third center pier was added in 1929. 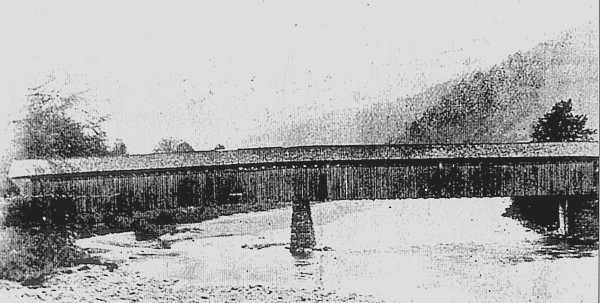 Colchester Station Bridge, 138 foot long Town truss bridge also built by Robert Murray in 1870. 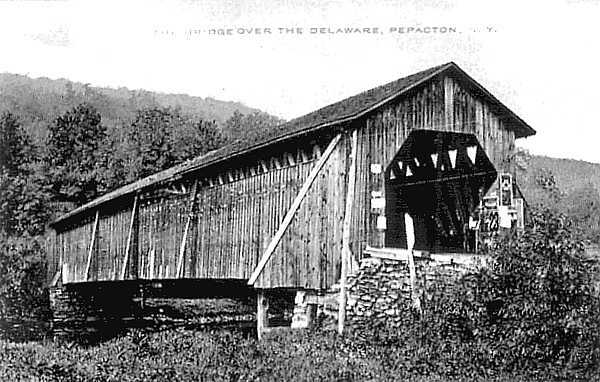 This bridge went across the West Branch of the Delaware near Walton. 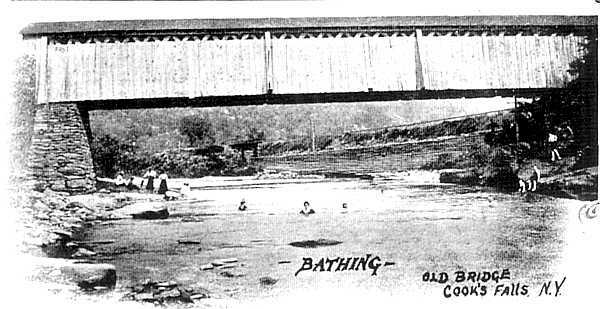 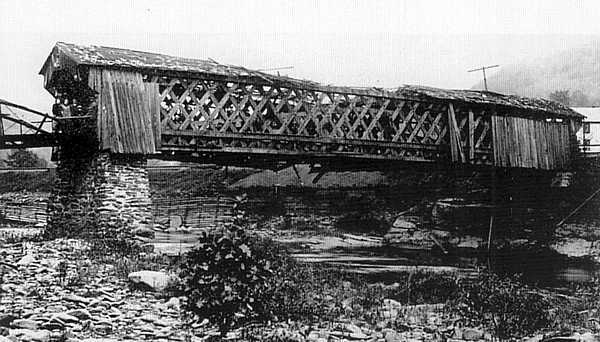 In use until April 1950 it was also referred to as the Weed's Bridge. 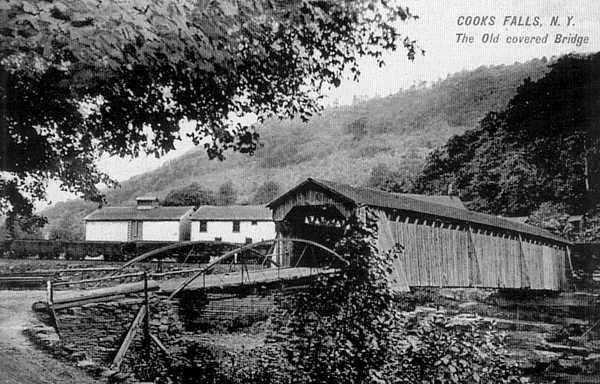 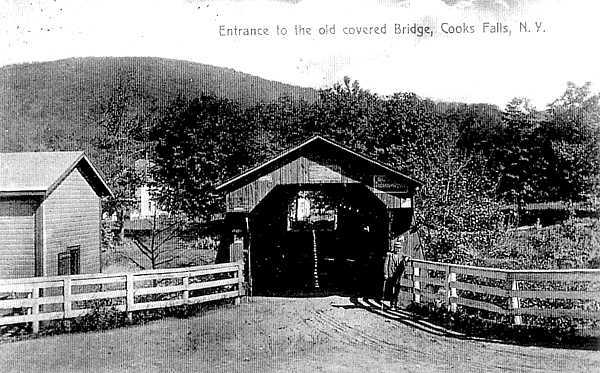 Cook's Falls Covered Bridge after vandals partially blew up the bridge in the 1930's. 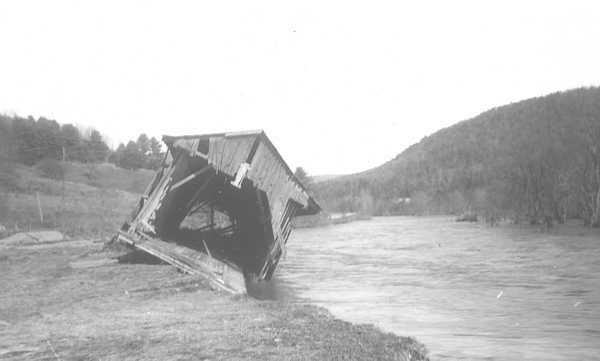 until flood waters destroyed the bridge on November 25, 1950. 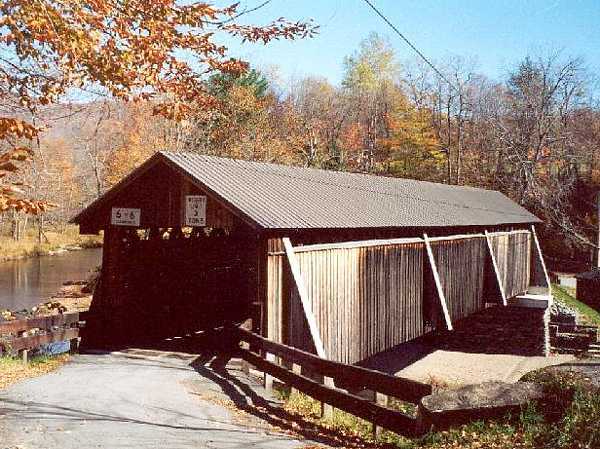 Horton Covered Bridge, a 200 foot long Town truss across the Beaverkill was used until 1934.